Canada is the place to be when it comes to luxurious and world-class hotels. However, here are eight hotels that will sweep you off your feet. 1. The King Pacific Lodge, Princess Royal Island, British Columbia This luxury eco-resort is located in an isolated location and you need to be flown in – which of course, is included in the tariff of your stay. Along with this comes the food, drinks, and the daily activities and tours that take place in the Great Bear Rainforest and the ocean. The tariff for a three night stay at the lodge would cost you $4,750 and can be stretched to $12,300 if you are keen on the spa visits and helicopters trips. 2. 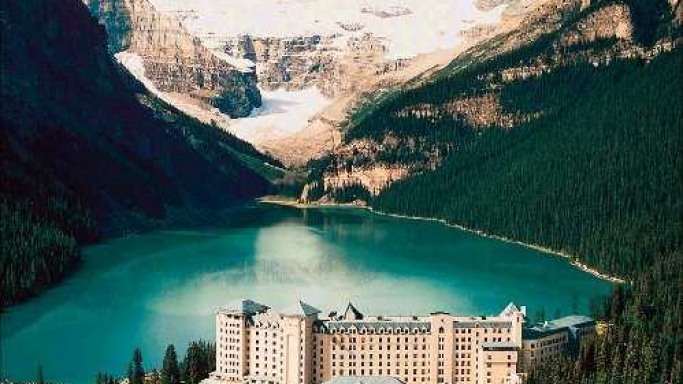 The Fairmont Chateau, Lake Louise, Alberta This breathtakingly beautiful property that has a historical relevance is perfectly situated in the scenic mountain area of the Banff National Park and is right next to the mesmerizing Lake Louise. A night spent in a royal suite in the Chateau would cost you $1,449. If you do not have much cash to spare then you can opt for a regular room that would cost you a tariff of $449 a night. There are many things that you can do there such as the unique glass-bottomed canoe ride on the lake, the guided hike, mountain biking or exploring the mountains on horseback. 3. The Wickinnish Inn, Tofino, British Columbia Tofino is a stunningly gorgeous destination and the hotel property is one that complements it perfectly. Being close to the beach, the luxurious rooms leverage a lot from the scenic beauty of the beach. During the summers, the tariff of the basic room comes out to be 500 dollars a night, however, if you are keen on renting out the Chesterman Beach Loft Suite or the Canopy Suite, then be prepared to shell out $880 or $ 1,500 respectively. 4. The W, Montreal, Quebec If you are keen on urban surroundings, then the Extreme Wow Suite at the W is the best lodging arrangement possible. Although it will cost you a whopping $2499 per night, but it provides you all the luxuries that includes some added special arrangements like a free complimentary champagne upon arrival. If you have more money to spare, then make use of the signature Whatever/Whenever® concierge service of the hotel to satisfy your luxurious whims from a bath filled with rose petals to a hot air balloon ride. 5. The Fairmont Pacific Rim, Vancouver, British Columbia This property is indeed a high-end one with chic and luxurious suites. The most elaborate suite and the most expensive one too is the Chairman’s Suite which is a Bali- inspired glass-walled suite that is spread across 2,650 square feet overlooking the mountains and Stanley Park. 6. Hotel de Glace, Quebec City, Quebec Just like its name suggests, you would actually be paying for sleeping on block of ice in a sleeping bag and paying a whopping price of $500 per night. Although it might sound very pricey for an “ice hotel” nevertheless, the experience that it provides is unparalleled., It also includes some unique treats like Nordic spas and dog sledding. 7. The Clayoquot Wilderness Resort, Flores Island, British Columbia This resort is another secluded kind that you would need to be flown into, however, with the tariff of $5,500 for a three-night stay, your round trip from Vancouver along with drinks, meals, spa massages and adventure activities are all-inclusive in the package. The guests are provided amazing luxury tents that have elaborate bathrooms and wooden stoves right in the middle of a scenic rainforest region. 8. The Hazelton Hotel, Toronto, Ontario This hotel is placed in one of the most posh neighborhoods and is a luxury boutique hotel that provides you a perfect stay in an urban location. The hotel’s private movie theatre is the added bonus. Although most of the rooms have a tariff near around $500, but if you wish to stay in the chic Bellair Suite, then be prepared to spend 3000 dollars a night!